UPDATE: Bombs are not confirmed to be part of Unity's gameplay. I apologize for the error. 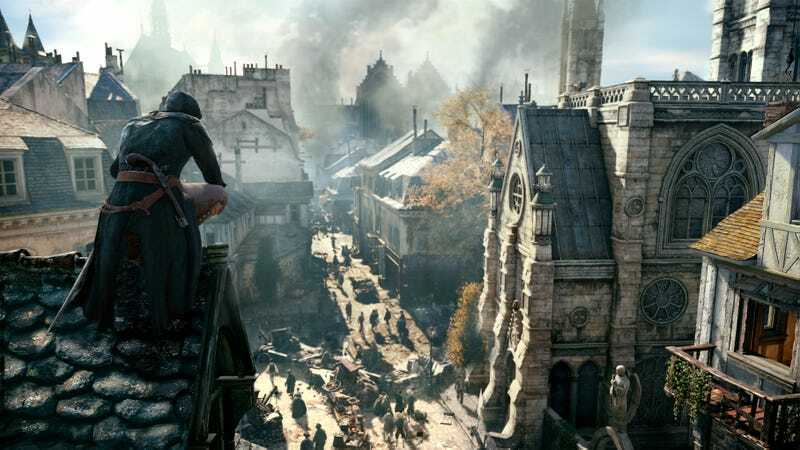 Stephen's new article on Ubisoft's upcoming Assassin's Creed Unity spilled a few new details on the franchise's latest outing. Some of these sound amazing, and some players will undoubtedly loathe others. For those of you interested in the digest version, here's a list of the features revealed today. Other details include being able to level up your main character, Arno as well as being able to play all of Unity's co-op content solo if you so desire. The Phantom Blade also is said to operate much like the hidden blade, albeit with added range, whatever that means. I don't know about you guys but I'm really excited for this one. What do you think? Let me know in the comments.